So you might be looking for a printer offline fix or two that works to resolve the issue. 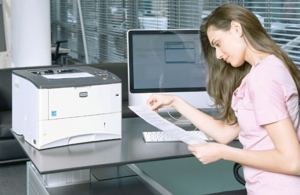 Rest assured, there are a few ways for troubleshooting printer problems. Some components of the software might have been incorrectly installed, even if the printer’s setup failed. Uninstall and reinstall it to clear any possible problems. If required, disable its USB cable from your printer. In the Windows OS, search for Control Panel, and open it. Under Programs and Features or Programs, click on the Uninstall a program This opens the list of Windows programs. Click on the printer name for opening the uninstall confirmation screen, and click on Yes to finish the whole software removal. Ensure your printer is on, its cartridges are installed, as well as paper is loaded in its main tray. Go to your printer manufacturer website to download the driver or application for your OS version. Make it a point to download the right driver for your printer model number and install it in your system by following the steps. Then, follow the steps for setting up your printer connection. Then, try to take a printout. If the issue persists, then proceed to the next step. Troubleshoot connection problems with USB or network-connected printers. If your system is not able to detect your printer over a wireless connection, reboot your system, restart the other device and router, and make a fresh connection. After you turn your printer off, wait for ten seconds, and disconnect the power cord from it. Then, turn off your PC. Connect the power cord back to your printer, and turn it back on. Then, disconnect your router’s power cord, wait for ten seconds, and connect it back to the equipment. Finally, turn on your system. This makes your printing device and network ready to make a fresh connection. 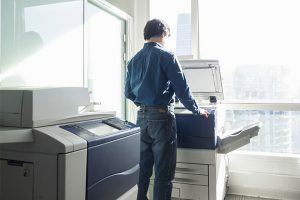 Then, connect your printer to the network by following the instructions in your printer’s user manual or manufacturer site. After that, print a wireless report to see if your printer is working. If your PC is not able to detect it over your USB connection, restart your printer, computer, as well as verify the USB connection. After turning off your computer and printer, disconnect the cable from your PC. Check for any damage on it; if the USB cable is damaged, then replace it. Moreover, check its length. If it is over 3 meters, then replace the USB cable with a shorter one. Connect it to a different port on your system. It has to be USB 2.0 or higher. If you are using a USB hub, then disconnect it from the hub and connect it directly to your PC. Ensure it is secure to both the ports. Turn on your system, and wait for it to finish the startup. Then, turn on your printer. Wait for Windows to install the new device. If your PC is not able to detect it over an Ethernet connection, then check your network cables as well as the connection. Turn off your printer, disconnect the cable from your router and check the cable’s condition. If the Ethernet cable is damaged, then replace it. Ensure it is secured fully to both the ports. Confirm it is an Ethernet cable, not a telephone cable. Phone and Ethernet cables look identical but are of different sizes. Connect the cable to another LAN or Ethernet port on your router. Avoid connecting it to your internet port. Confirm the connection by checking the lights on the Ethernet port of your printer. The green color link light has to be steady and orange activity light has to blink when the Ethernet cable is connected. Then, take a Network Configuration Page printout for confirming the network status. Ensure it is displayed as Ready. Service your printer or replace it if the issue has not been fixed despite trying all the above-mentioned steps. Approach the right party depending on whether you have a warranty or is presently out of the warranty period. For any other printer related queries, feel free to contact our printer support professionals through the toll-free number mentioned above.